At least one cause of that insecurity is the empowerment of single women, which she writes about in her book, Singled Out: How Singles Are Stereotyped, Stigmatized, and Ignored, and Still Live Happily Ever After. In this article, DePaulo discusses how single women are transforming social and political life, how they’re settling down, and what that says about living happily. I think it is a tremendously positive thing. Once upon a time, just about everyone in the United States thought that they needed to squeeze themselves into the heterosexual nuclear family box, even if they weren’t heterosexual or weren’t interested in getting married or had no interest in raising kids. Now, people can create the lives and the families that allow them to live their best, most authentic, and most meaningful lives. They can choose to put friends at the center of their lives. Or they can assemble their very own combination of friends and family to be the social convoys that sail beside them as they navigate their lives. They can have kids in their lives without having children of their own. They can live under the same roof with friends or families or children or any combination. They can live in a place of their own, but within an intentional community, such as a co-housing community. They can share a duplex with a friend or relative, so that they have their own space while also having someone else they care about just steps away. Or they can live entirely on their own. The possibilities are endless. It depends on life stage, but it also just varies by preference. Some people like me really like having their own space, so love living alone. 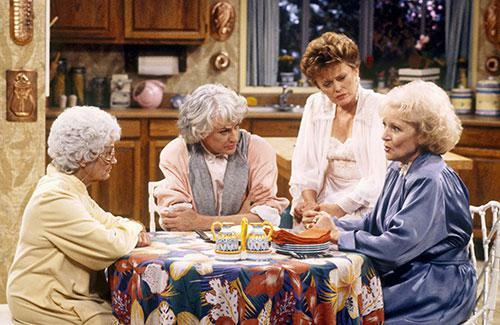 But there are other single people who really like being with other people a lot of the time, so they might want to live under same roof, like a Golden Girls kind of thing. Also, single mothers are great at finding innovative ways of living as single parents. One of the people I interviewed, Carmel Sullivan, was devastated after her divorce. She felt so lonely. And then she put out an ad saying that she wanted to share a place with another single mother and her kids, to help each other raise the kids and have friendship. She got all the responses and ended up starting this online platform called CoAbode, where single mothers can find other single parents to share a home with. When I talked to Carmel a few years ago, she already had 70,000 single mothers signed up.